The “Clown Prince of Basketball,” Meadowlark Lemon dead at 83. He thrilled millions of fans with his basketball skills and slapstick comedy. 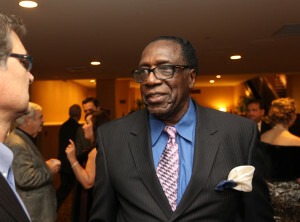 Meadowlark Lemon, who entertained fans for more than two decades as a member of the Harlem Globetrotters, died Sunday. He was 83. Lemon’s death was first reported by The New York Times. Meadow Lemon III, was a native of North Carolina. He played college basketball at Florida A&M and was drafted into the Army for two years before he joined the Globetrotters in 1954. He played in over 16,000 games when he retired from the squad in 1978. Meadowlark was inducted into the NBA Basketball Hall of Fame Class of 2003 and received the NBA Lifetime Achievement – John Bunn Award for Lifetime Achievement in the year 2000, which is considered the highest honor given by the Naismith Memorial Basketball Hall of Fame outside of induction. Meadowlark was also enshrined as part of the Harlem Globetrotters Team in 2002 and the Team’s John Bunn Award in 1999. With a roster showcasing stars such as Special K Daley, Big Easy Lofton, Flight Time Lang, Hi-Lite Bruton and Dizzy Grant – plus female stars TNT Maddox, T-Time Brawner and Sweet J Ekworomadu* – the Globetrotters’ one-of-a-kind family show features mesmerizing ball handling, an assortment of trick shots, high-flying dunks and precise timing – all with an array of comedy guaranteed to entertain the young and the young at heart. After virtually every game, Globetrotter stars remain on the court for autographs and photographs with fans. Tickets go on sale October 29th at harlemglobetrotters.com, www.jqharena.missouristate.edu or by phone at 836-7678 or 888-476-7849. This may in fact be the first appearance in Missouri for the Globetrotters since the Herschend family (which owns Silver Dollar Silver) purchased the Globetrotters. Herschend Family Entertainment, the group that owns Silver Dollar City in Branson, Mo., along with other amusement parks and tourist attractions across the country have purchased the Harlem Globetrotters from the private equity firm Shamrock Capital Advisors. The L.A. Business Journal listed the price between $50-$100 million. The Globetrotters have executive offices and about 30 employees at the Arizona Center in downtown Phoenix. The traveling basketball team has 90 employees plays close to 400 games worldwide each year. Plans are for the Globetrotters’ home office to remain in Phoenix after the deal. Georgia based Herschend also owns and operates Dollywood in Tennessee, Wild Adventures in Valdosta, Ga., Stone Mountain Park in Georgia and Adventure Aquarium in New Jersey.